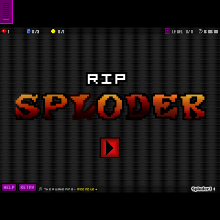 Sploder is dying. I had so much fun with this site. My games were bad, but it was just fun to test things out. I joined sploder back in 2015. It's more inactive now. If many people stay active, Geoff cannot shut sploder down. Thanks for all the fun. Love from PHILIPPINES!